Christmas is only 4 days away! 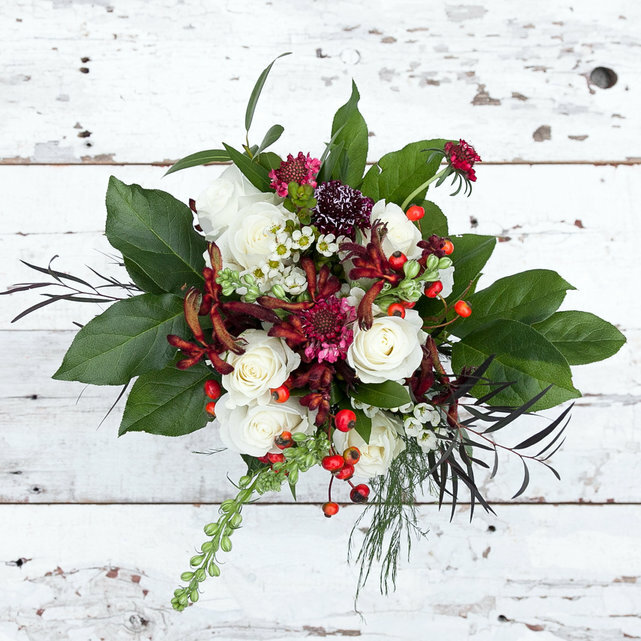 If you’re still looking for gifts or perhaps want to send a bit of extra holiday cheer to loved ones, consider ordering a floral gift. 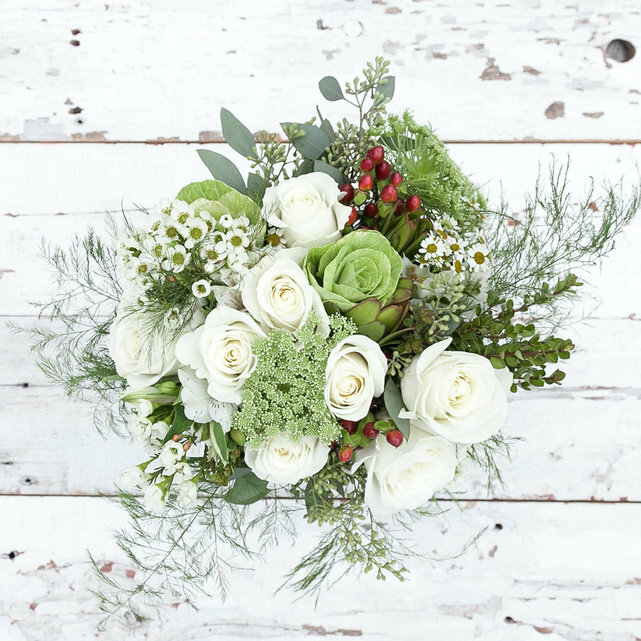 With less than a week until Christmas, many floral gifts won’t make it in time; however, I did the research for you and pulled together some bouquets and plants that will arrive before Christmas. But hurry! Most of these will need to be ordered TODAY to be delivered in time. 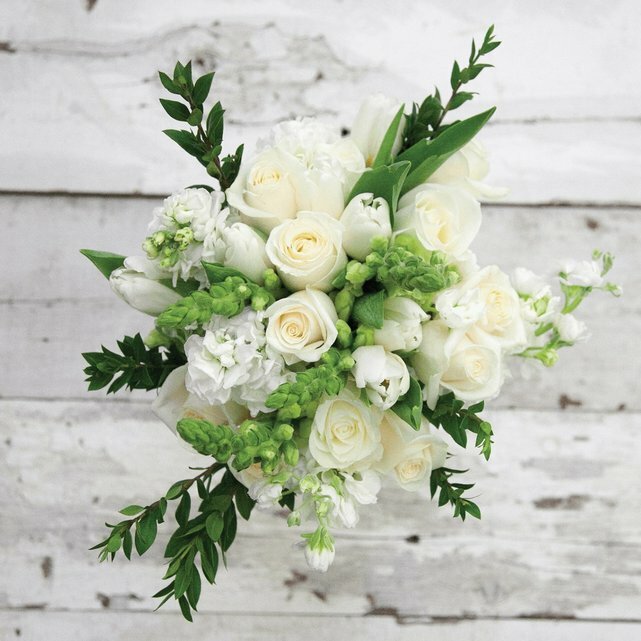 A local Bouqs Artisan Florist will design a bouquet using a soothing mix of white flowers with green accents. 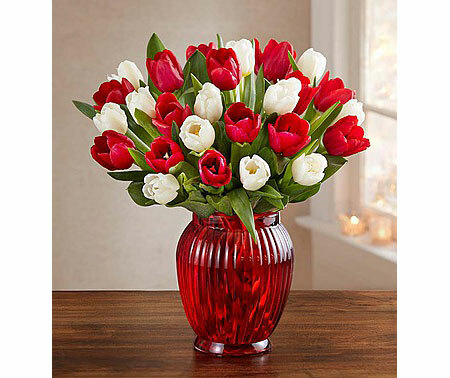 Vibrant red and white tulips make up this bouquet. 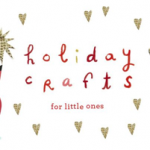 Add a little holiday cheer by including a red vase. 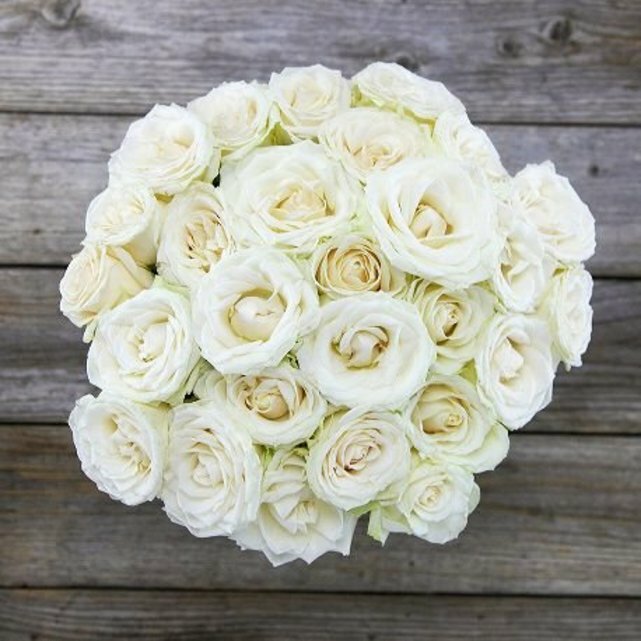 Comprised of white roses, this bouquet will match practically anyone’s Christmas or winter decor. 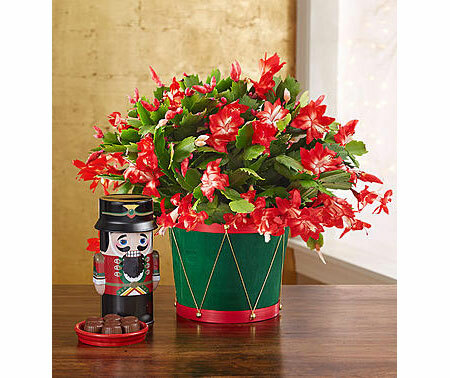 For something a little more unique, send this Christmas cactus in a red, green, and gold drum planter. 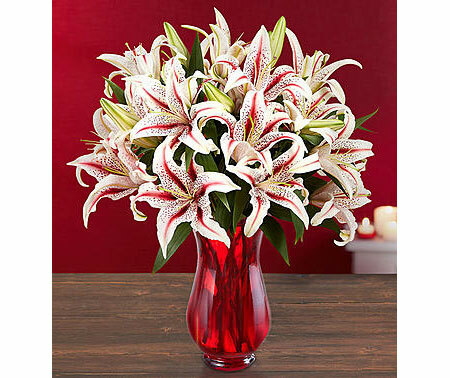 This bold bouquet features white lilies accented with red stripes down the petals. Available with 6 or 12 lilies. 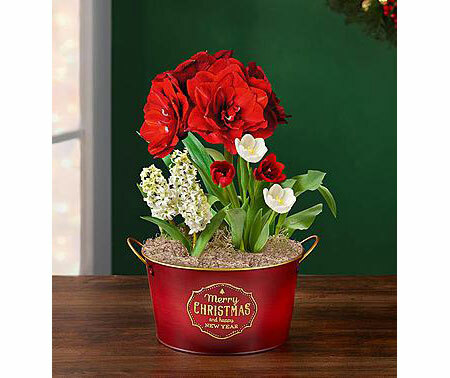 For a gift that keeps on blooming, consider this Christmas bulb garden that contains amaryllis, hyacinth, tulips, and scilla. 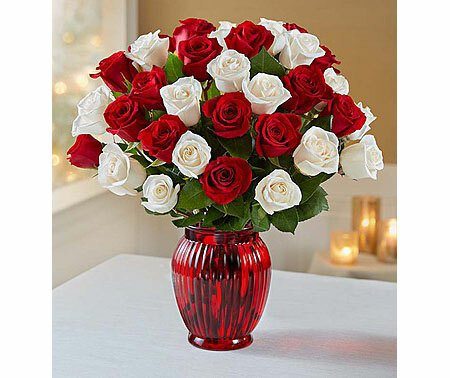 Classic and merry, this peppermint-inspired bouquet is available with 18 or 36 red and white roses. 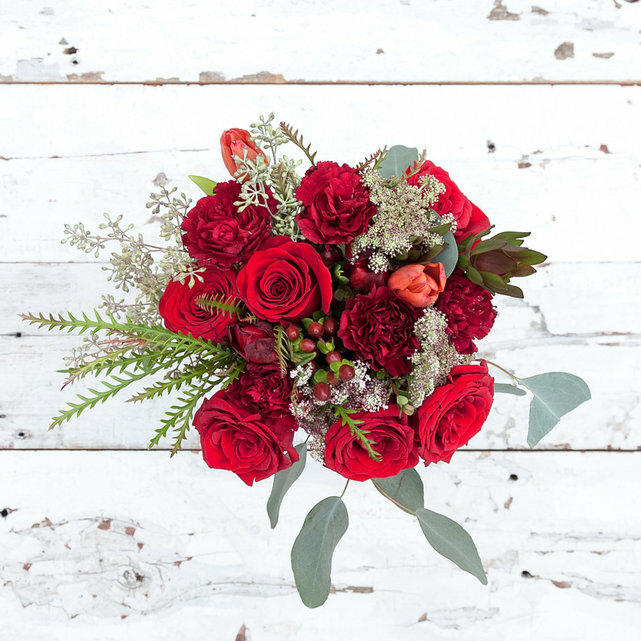 This bouquet is what I would describe as “dealer’s choice.” As you can see from the photos above, all of bouquets are festive, but they are quite different in design, as the local Bouqs Artisan Florist will use whatever beautiful Christmassy flowers they have on hand.